This 1967 Shelby GT-350 was shipped new to Schmidt Ford in Baltimore, MD. 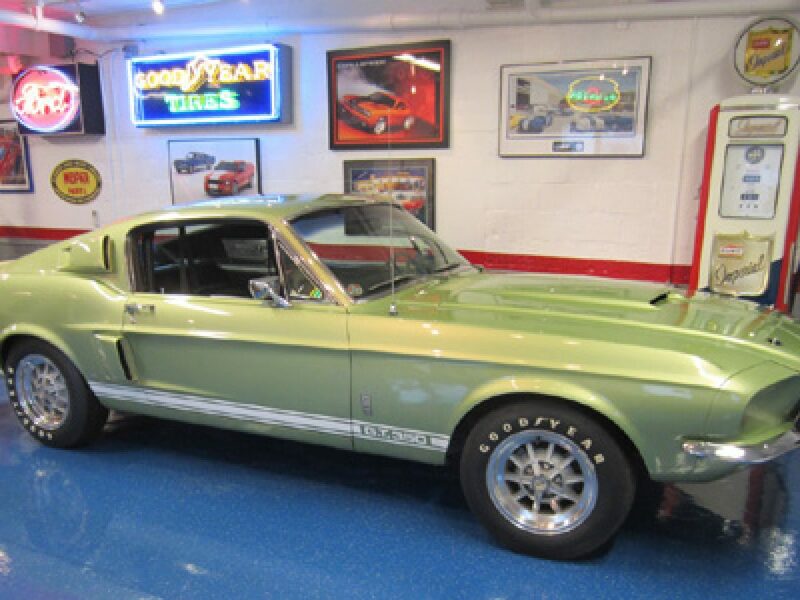 This Lime Gold Shelby retains it’s original sheet metal, fiberglass, interior and engine and has had one repaint. This car was originally an automatic and was switched to a 4 speed. The correct automatic transmission and all components to return the car to an automatic come with the car. This is a great running and driving GT-350 and has just been serviced by Conover Racing and Restoration. Listed in the Shelby Registry as #2231.